NEW YORK -- An engineer who fell asleep at the controls of a Metro-North train and caused a derailment that killed four people in New York City sued the railroad Thursday, saying its negligence and carelessness led to the accident. William Rockefeller is seeking $10 million in the lawsuit in Manhattan federal court, saying he suffers from multiple injuries, including post-traumatic stress disorder, as a result of the Dec. 1, 2013, derailment. Besides the deaths, more than 70 people were injured. 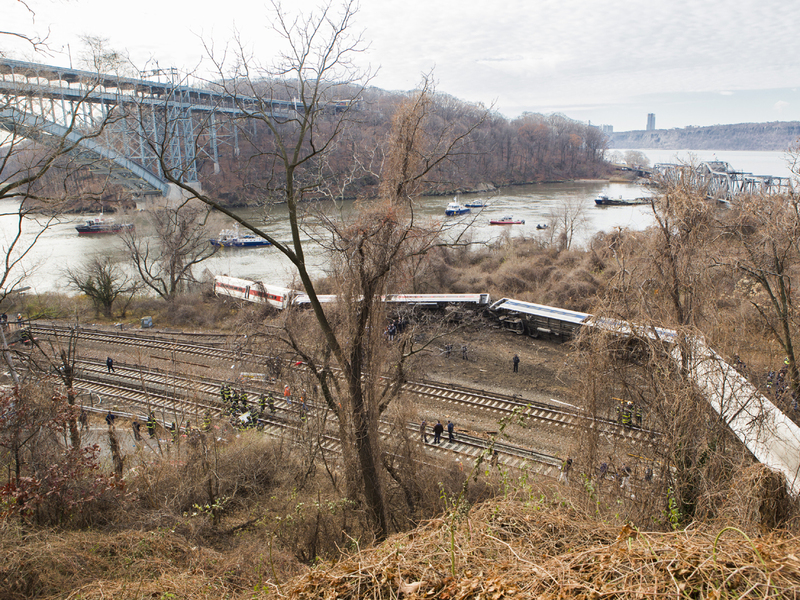 The accident occurred in the Bronx as the commuter train went around a curve at about 82 mph. The speed limit on the turn was 30 mph. Rockefeller’s sleepiness was due to a combination of an undiagnosed disorder — sleep apnea — and a drastic shift in his work schedule, the NTSB said in a 2014 report, CBS New York reports. The agency said the railroad lacked a policy to screen engineers for sleep disorders, which also contributed to the crash. It also said a system that would have automatically applied the brakes would have prevented the crash. Prosecutors declined to bring criminal charges against Rockefeller. The lawsuit said he will continue to suffer lost wages and benefits along with pain, suffering, mental anguish and depression.